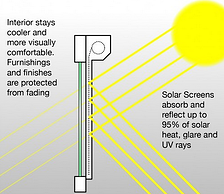 With our Exterior Solar Shading Systems, we block out the sun of a home or business before it enters the room. This is our most effective way in reducing heat gain for any project. With your Exterior Solar shades, just roll them down when you need heat protection and roll up when you want to enjoy your view. Below you will find all our Oasis Patio Shading Systems. Please contact us for more information. 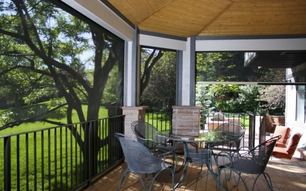 Our Oasis 2600 Sun Shades are a simple solution for shading west facing patio areas from harsh sun. 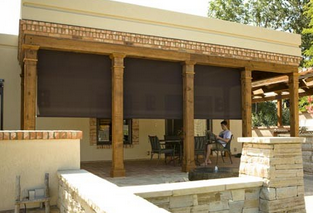 These shades utilize an exterior grade clutch system and are custom sized for any patio area up to 12′ wide. 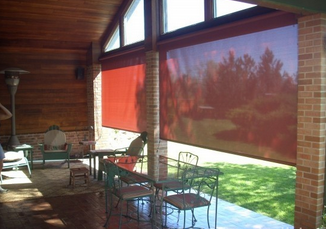 Oasis 2700 Exterior Window Shades provide a motorized option for patio openings up to 10′ wide & 10′ tall. 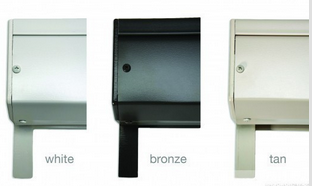 Shades come in a 4″ aluminum headbox with a choice of side tracks or cable guide system. The Oasis 2800 Patio Shade is our best-selling and most versatile sun shade solution, and isavailable up to 19′ wide in a single shade. Motor or crank operated shades come in a 5″ aluminum headbox or exposed bracket with a choice of side tracks or cable guide system. 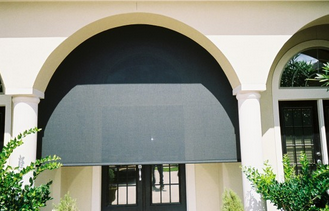 The Oasis 2900 Solar Insect Shade was designed to block the sun and keep the bugs out. 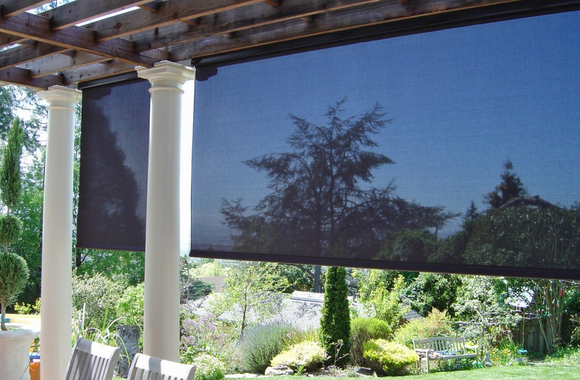 These patio insect shades utilize a 5″ headbox and a zipper system inside the side track to provide a 4 sided edge seal for the shades. Available in solar screen or insect weave fabrics.